The three socio-cultural organisations in Benue; Mdzough U Tiv, Ochetoha K’Idoma and Omi Ny ’ Igede, Tuesday, expressed misgivings over the plan by the Federal Government to reopen old cattle routes across the country. 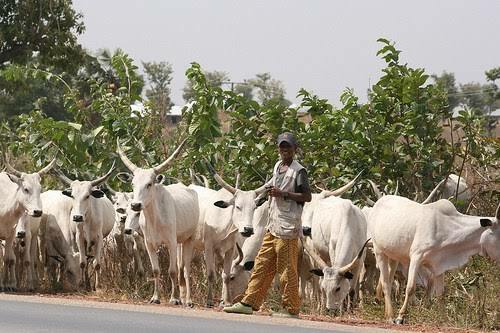 The leaders were reacting to the statement made by President Muhammadu Buhari when he recently hosted stakeholders of the All Progressives Congress from Benue State, where he declared that the Federal Government was “working hard to reopen old cattle routes” for free cattle grazing in the country. The organisations, in a joint world press conference in Makurdi, President General, Mdzough U Tiv, Chief Edward Ujege, his Ochetoha K’Idoma counterpart, Adoya Amali and the Omi Ny ’ Igede leader, Ben Okpa noted that the reintroduction of cattle routes in the country was no longer fashionable and feasible. They stated that the plan was a complete contradiction of the government’s economic diversification policy through agricultural production.